Summer is drawing to a close and I’m back at my desk. Tried to keep up with comments received over the summer and now am attempting to contact past friends, acquaintances, and fellow musicians to talk more about their Pop House experiences. 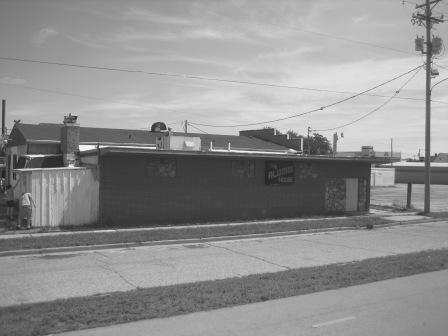 While I have many photographs of artists who performed at the Pop House, I’m missing some important Midwest bands from the mid to late sixties… the Beau Gentry, the Heard, the Paegans, the Grim Reapers, etc. If you have any photographs of these and other bands from that time period, please contact me. One of the sad things discovered in my research is that some of my favorite artists are now gone. For instance, from the Beau Gentry, Doug Killmer (bass) and Rick Jaeger (drums) have passed on, Rick in 2000 and Doug in 2005. Both had great musical careers playing with the likes of Norman Greenbaum (Spirit in the Sky) and Dave Mason (Headkeeper), among others. I recall one night when watching the Beau Gentry play at the Pop House. They were doing that old favorite, Louie Louie, when Doug held out his microphone to me to sing a verse. I did the best I could trying to remember some lyrics… probably not the real ones. Another member of the Beau Gentry who played with Norman Greenbaum (and whose fuzzy guitar you hear on Spirit in the Sky), Russ Dashiell is still making music. His web site is: www.spiritguitar.com . Guitarist Lance Massey lives in the Beloit-Janesville area and still performs occasionally. October 27th, 2006 at 3:43 pm So many Beloiters went through the Pop House and took away from it so many varying memories. From the many bands who played there with their opportunity to enhance their talents; to the sporting events ie, big Thanksgiving Day game, etc)the Pop House supported; to the many dances (live bands & sock hops)for the kids; to the annual chili festival; to the job opportunities provided the high schoolers - who created famous sandwiches like the SNEAD! ; etc. George Stankewitz and his business was very good for Beloit’s young people. What I especially enjoyed was to go back to the Pop House several years after I graduated and be able to carry on a conversation with George as if no time had elapsed since we last spoke. He was a good guy! Generation after generation of young Beloiters from BMHS, BCHS, Turner, & So. Beloit shared similar experiences year after year. I have very fond memories of the Pop House. October 27th, 2006 at 3:52 pm I agree with Denny - though I wasn’t from Beloit I visited the Pop House. It was a cool place.